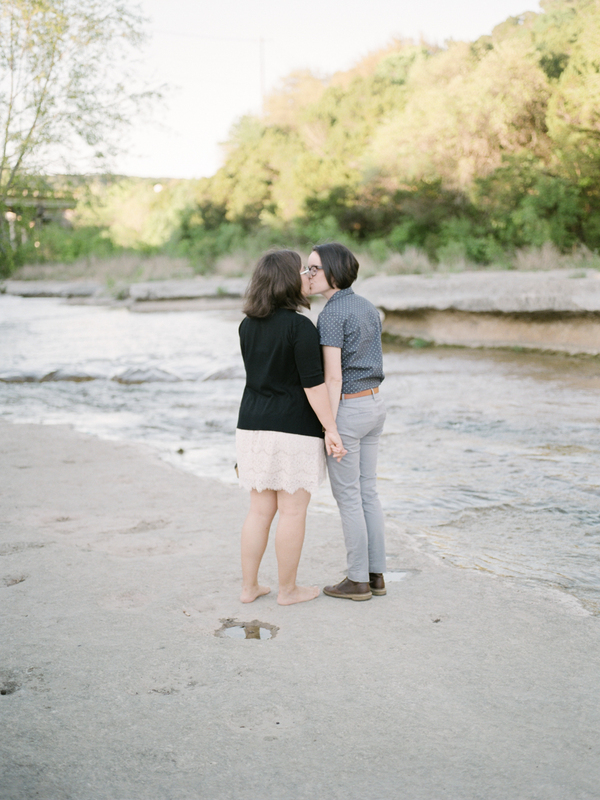 Katie & Michael were dream clients for me. Katie studied art in school, while Michael works as a math teacher. They absolutely adore each other, and it’s so so so evident anytime they interact in any way. 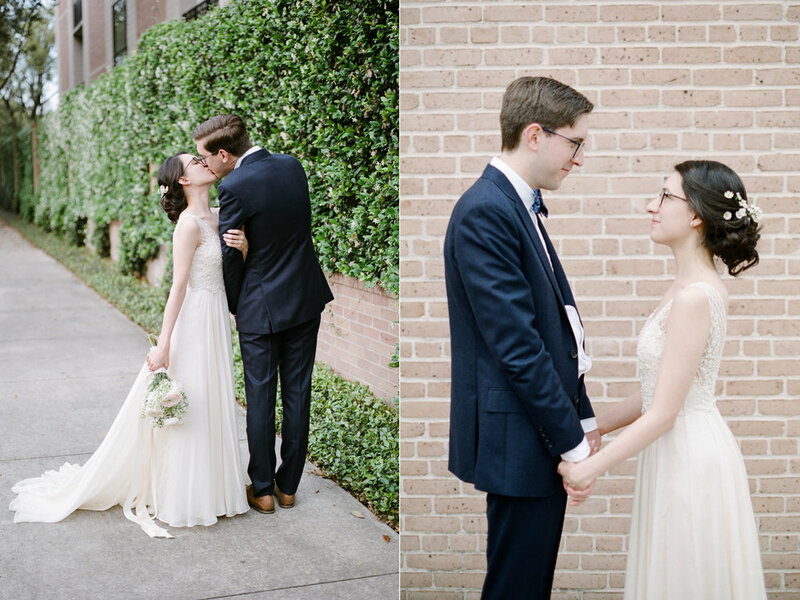 They were specifically seeking out a Houston film photographer for their wedding. 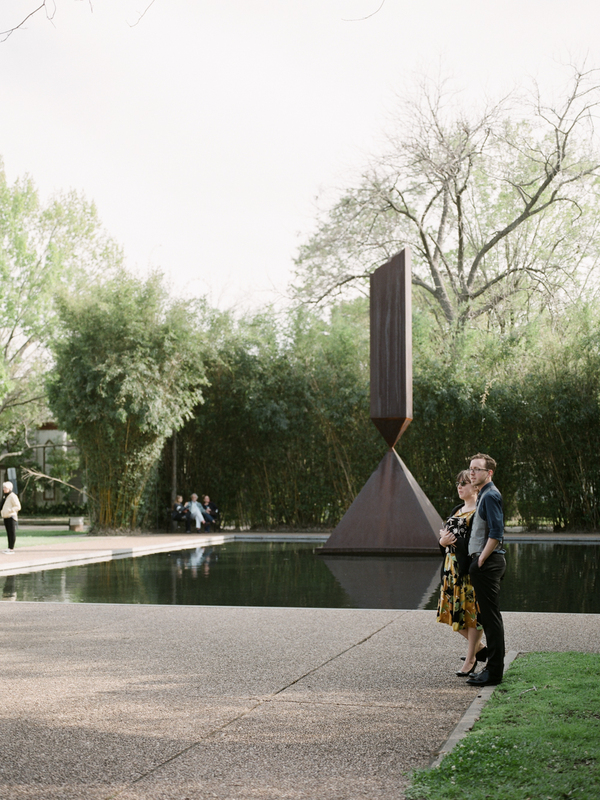 They wanted the timeless look of film photography for their simple, intimate wedding at Rothko Chapel. 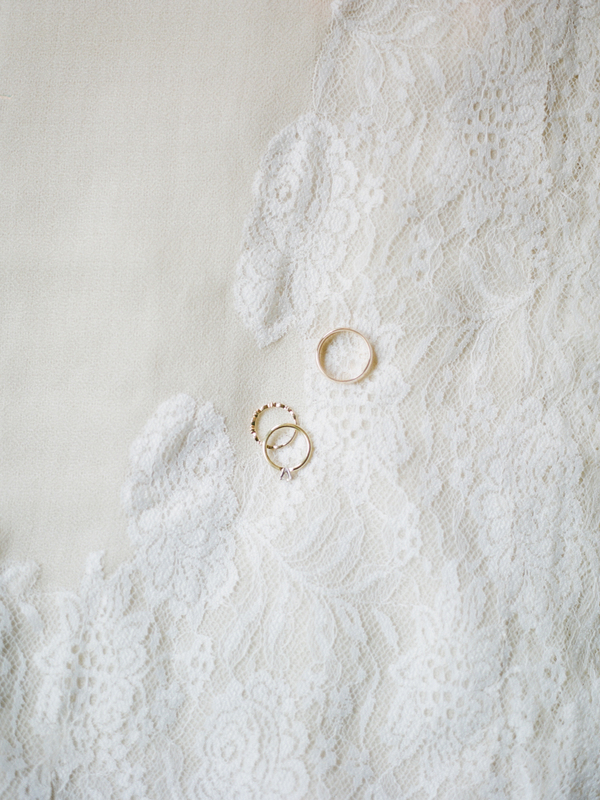 Every step of their wedding day was to be simplified: no bridal party, no crazy reception, no massive guest list. 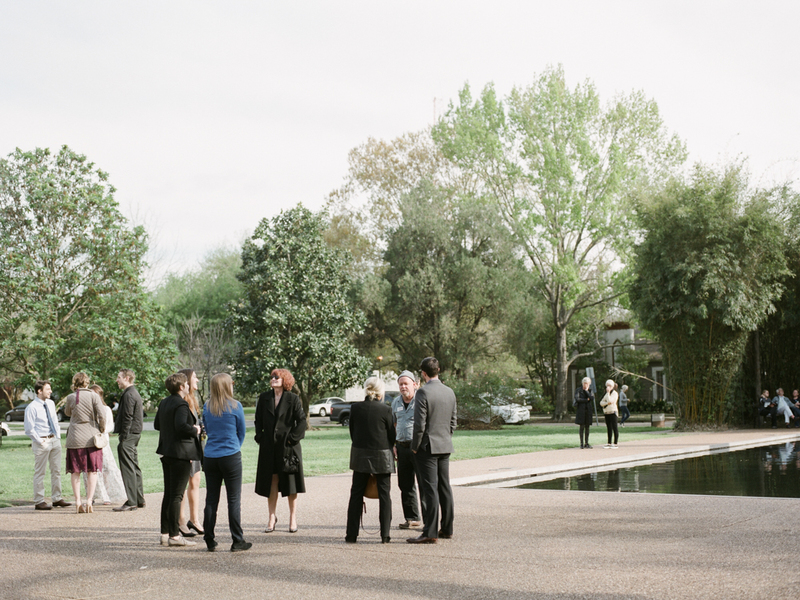 Just Katie + Michael and their favorite people on earth to help them celebrate their new marriage. 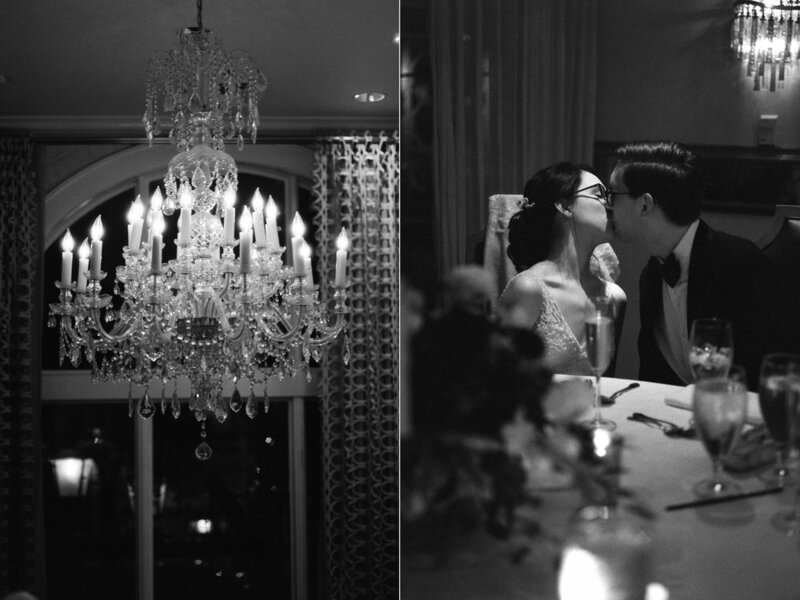 When we initially met up and they told me their vision for their wedding, I was so inspired. 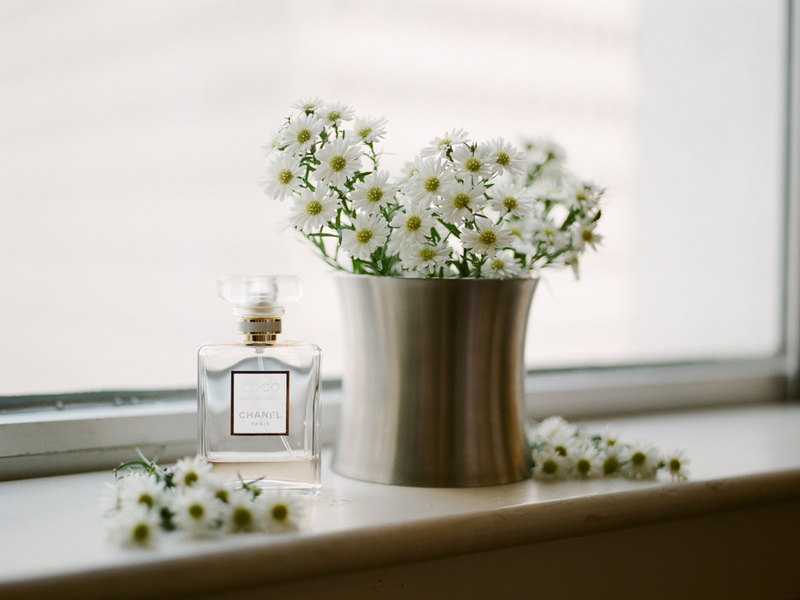 Simplicity, white flowers, BHLDN gown, seated 5 course dinner reception, no dancing or bouquet toss/ garter toss, no bridal party, great guest experience & stellar food. 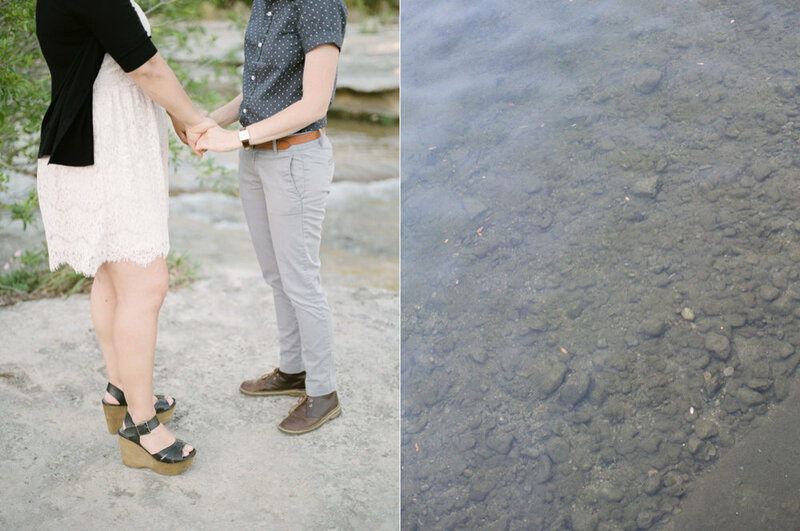 That inspiration carried over into their engagement session, which you can see by clicking here. 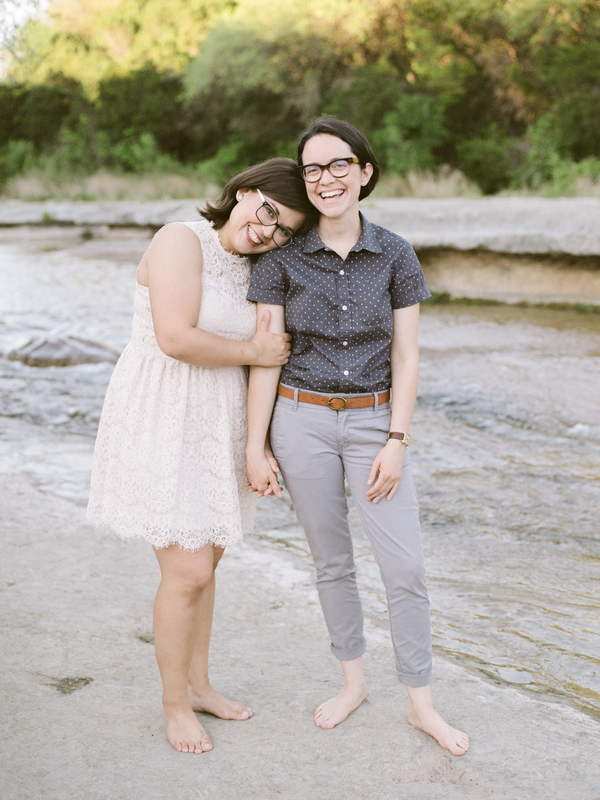 I knew from their lovey dovey engagement session that their wedding day was going to be one of my favorite weddings ever. 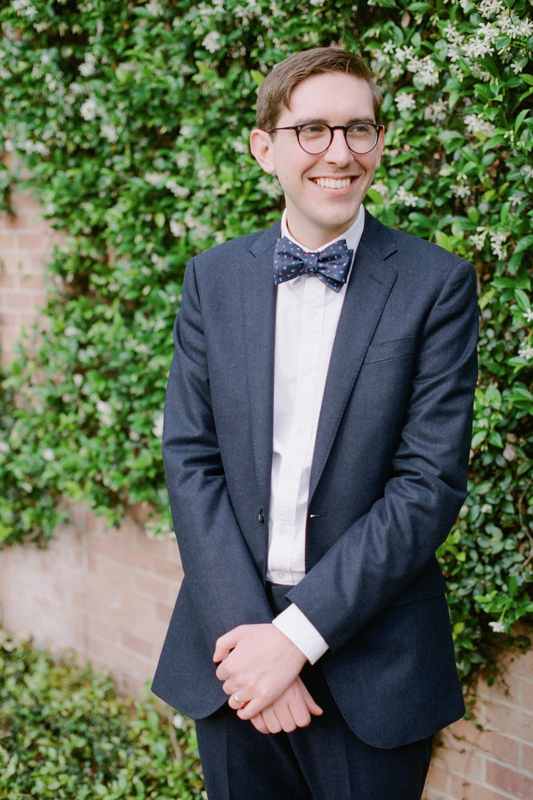 On the morning of the wedding I showed up to the Whitehall Hotel which was the perfect neutral canvas for a getting ready space. The only people there were Katie, her parents, and her sister. I’d never photographed a wedding with no bridal party before their wedding, but this definitely set a new precedent for favorite pre-wedding festivities. 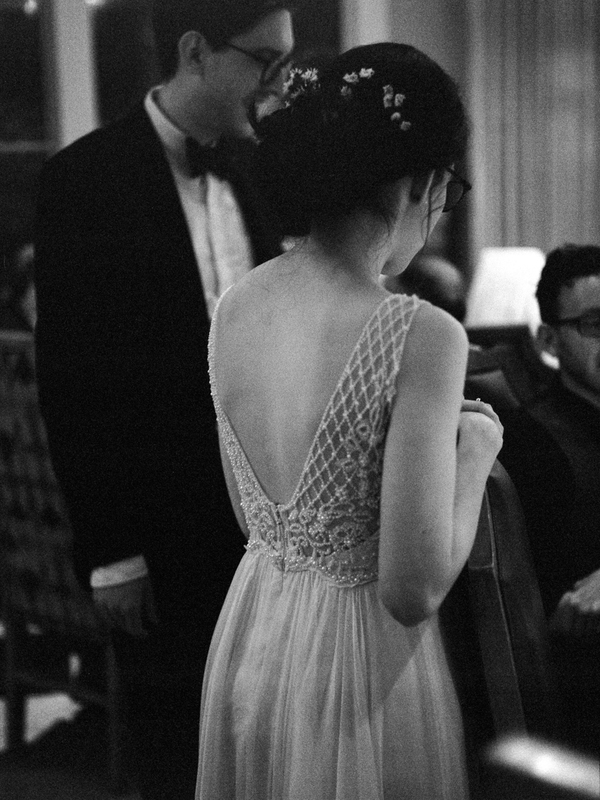 Without bridesmaids, Katie was able to save on HMU costs by doing her hair and makeup herself. It also left the room nice and clear since there wasn’t a hair and makeup team there, meaning there was more available light to work with in the small space. Katie joked that Michael was never on time, so she wouldn’t be surprised if Michael was running late to get ready at the hotel for getting ready photos… and she was right! I popped across the hall to go to the room where Michael and his parents were supposed to be getting ready, and his mom told me that he was running behind and would likely just have to meet us at the venue, which was exactly what happened. In true Katie fashion, she wasn’t worried about it at all and neither was I. Another quality of the typical Christine Gosch couple; nonchalant attitudes and laid back demeanors, even when things aren’t running perfectly. 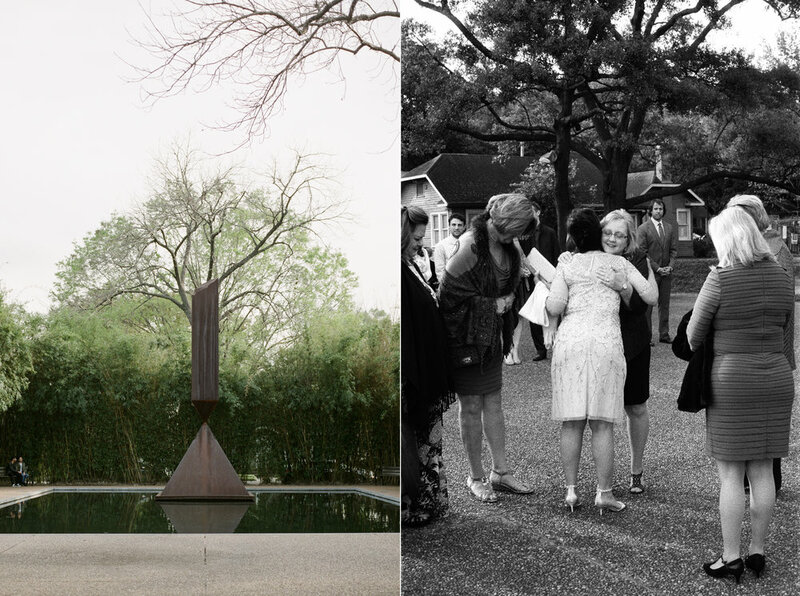 After Katie’s dad helped her put flowers in her hair (which was one of the sweetest things I’ve ever reverenced at a wedding between a father & bride) and we headed to Rothko Chapel, it was wedding time! 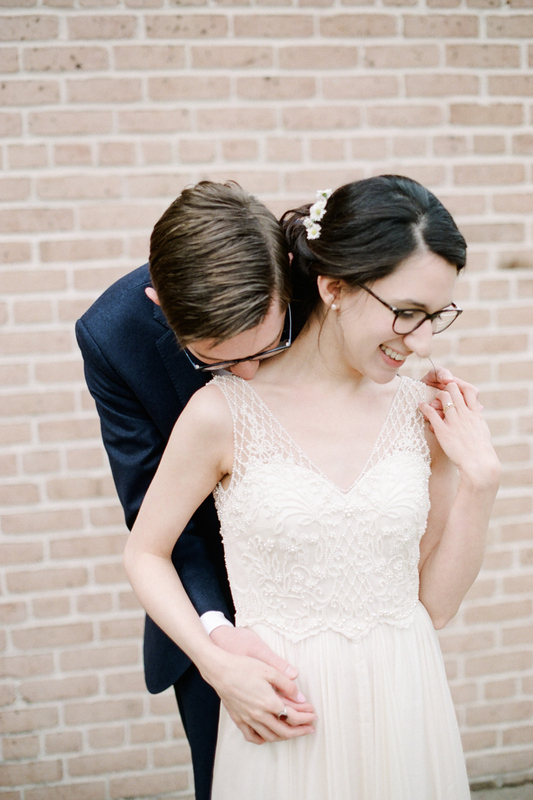 The intimate ceremony began outside of the chapel doors. As you can see, Michael was incredibly thrilled to see his bride. Their relationship is really what this is all about for me- the real love, the real smiles, and the families and friends surrounding and supporting them. 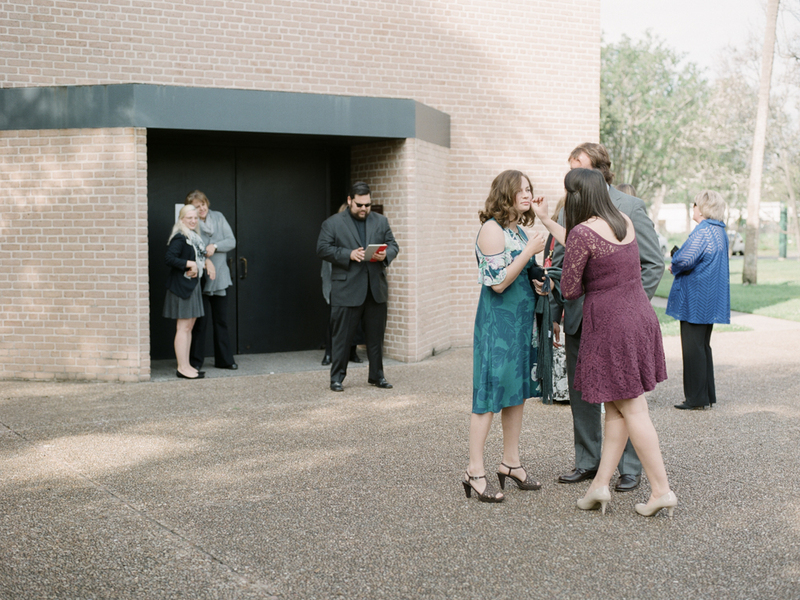 The interior of Rothko Chapel does not allow photography, so Michael & Katie began the ceremony outside then everyone proceeded inside for the vows and readings. It was very easy to pull off with an intimate guest count. I wouldn’t recommend something like this for a larger wedding. 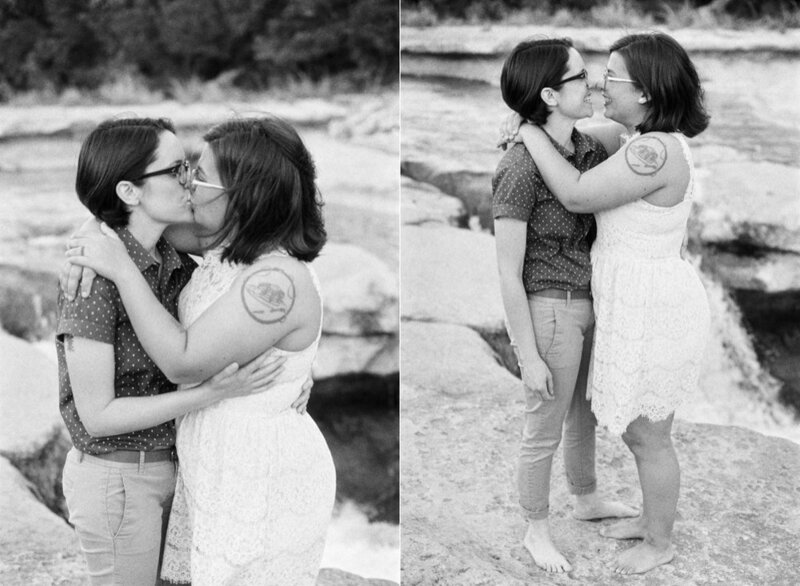 After the ceremony, they headed back outside for the first kiss so it could be photographed. 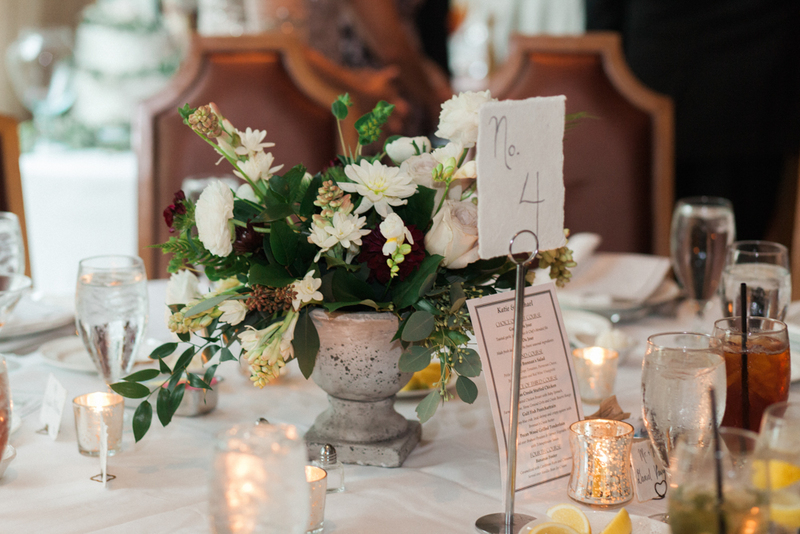 After the ceremony & some newlywed portraits, their seated 4 course meal dinner reception at Brennan’s of Houston was relaxed, delicious, and candlelit. The perfect ending to the perfect day. 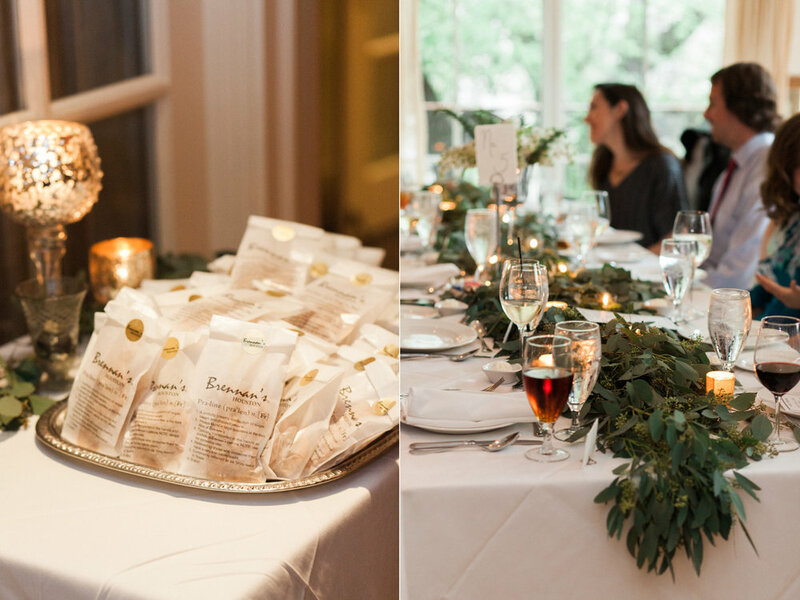 This was definitely, definitely a favorite wedding and set the bar so high for future laid back Houston or destination weddings!